Water is essential to survival but in situations of camping, hiking and emergencies, fresh, clean water may not always be available. 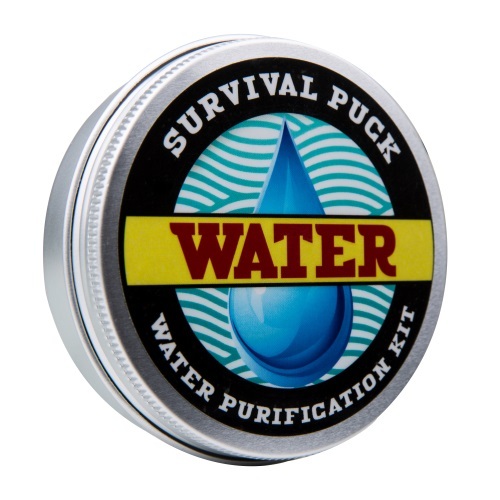 This lightweight, portable water purification kit-- all contained in a puck-- is everything you need to assure that water is ready for drinking. • Water purification tablets (50 tablets).